He has traded all his veterans for future assets, drafted guys who won’t play a single minute this year, and generally torpedoed any hope of being good anytime soon for the promise of long-term success. It makes total sense, and it’s going to be fascinating to see if it works. 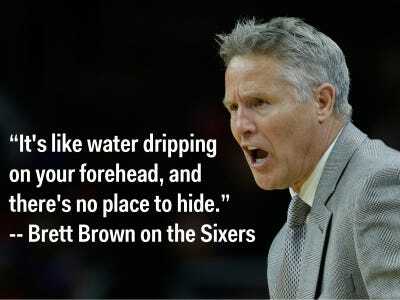 But this strategy inevitably leads to the type of embarrassments we saw on Thursday night, when the Sixers lost 123-70 to the Dallas Mavericks. 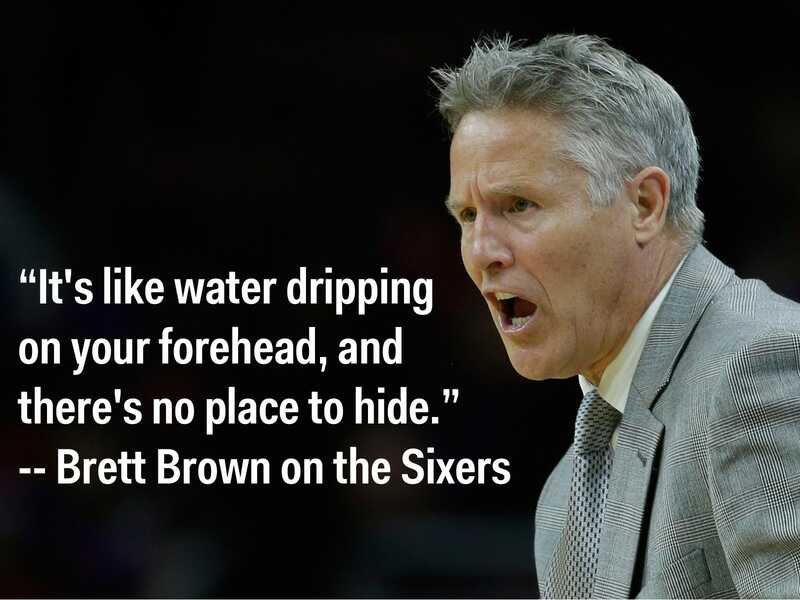 After the game Brett Brown, the unfortunate Sixers head coach who has the impossible job of leading a team specifically constructed to lose games, described what it’s like to coach a tanking team. Tanking might work out in the long term, but it’s brutal right now. How do you motivate a team that knows it’s not set up to win games? How do you go about the day-to-day business of teaching young players when you’re getting blown out by 50 every night? No NBA team has ever done this. We’ve seen teams tank selectively here or there, but never so transparently and never for so many years in a row.